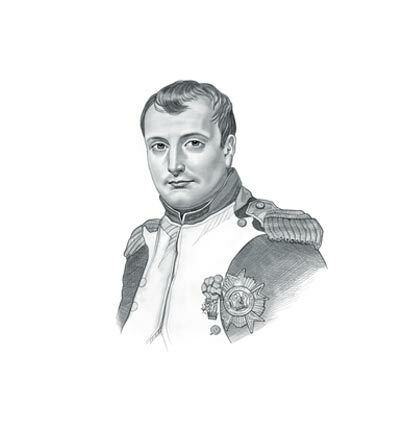 This short Napoleon Bonaparte Speech - Farewell to the Old Guard featured is in the form of a transcript, extract, passages or lines and demonstrates the good oratory skills of a great public speaker with the ability to use clear words and text. Speech Example Topic / Subject Type: Tribute Speech. I bid you farewell. For twenty years I have constantly accompanied you on the road to honor and glory. In these latter times, as in the days of our prosperity, you have invariably been models of courage and fidelity. With men such as you our cause could not be lost; but the war would have been interminable; it would have been civil war, and that would have entailed deeper misfortunes on France. Her happiness was my only thought. It will still be the object of my wishes. Do not regret my fate; if I have consented to survive, it is to serve your glory. I intend to write the history of the great achievements we have performed together. Adieu, my friends. Would I could press you all to my heart. This famous short Napoleon Bonaparte Speech - Farewell to the Old Guard is a great example of a clear address using excellent text to persuade and inspire the audience by a natural leader and motivator. Use this famous short transcript of the Napoleon Bonaparte Speech - Farewell to the Old Guard as an example of a great oration and clear dialogue. A Quote or extract from this short Napoleon Bonaparte Speech - Farewell to the Old Guard, provides an illustration of, or allusion to, the famous events the era. This famous short Napoleon Bonaparte Speech - Farewell to the Old Guard is famed for its powers of verbal communication making good use of the words and language to illustrate the subject. Whether this short address can be described in the category of powerful, persuasive, motivational or inspirational speeches the excellent powers of oration which are used makes it a famous short speech.